In this post, we will go through how to install the custom Storefront theme for WooCommerce online stores. These steps will be similar for any shop theme you want to install. 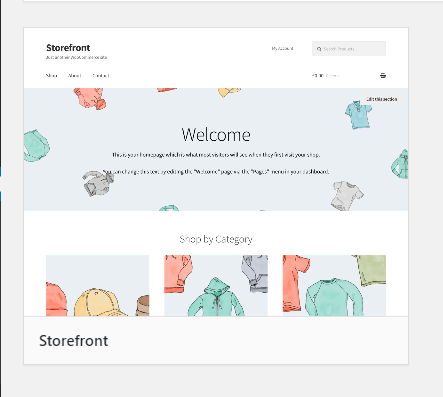 Storefront is one of the main official WooCommerce Store Themes built by the WooCommerce team. It’s easy to use and good for beginners. This theme is also open source, so developers can submit their own contributions on GitHub, or develop their own child theme to play with. The advantage of using the Storefront Theme is that it’s free and it’s the first one to get updated. 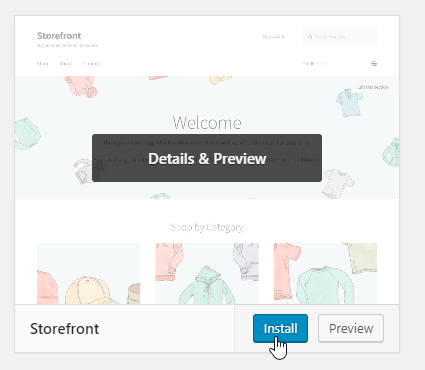 If there’s new features coming to WooCommerce, chances are they’ll be applied to the Storefront Theme first. It also has over 200,000 active installations and pretty good reviews on the WordPress Theme Directory. 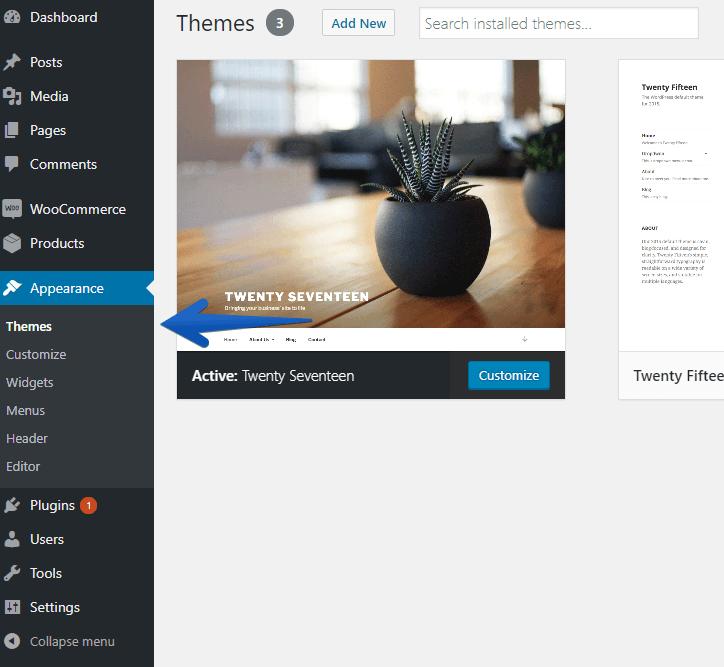 First, click Appearance in the WordPress sidebar, and then select Themes. Type Storefront into the search box on the right. The theme you’re looking for is this one! If you hover over the theme, you’ll see an option to Install. You can also select details and preview if you want to check it out first, but we’re just going to go ahead and install now. Once you’ve hit install, you should get a green box up the top saying installed. Then click Activate. Congratulations! 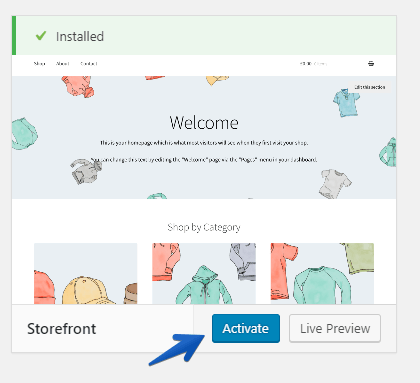 You’ve now installed and activated the Storefront Theme for your WooCommerce store. If you opted to go with this option, your basic homepage will look like this. Don’t worry, we’ll do a lot of customizing later, but at least there’s a basic homepage set up now. Adding example products is good for when you want to test out your theme and settings before making your store live. Just make sure to delete them once you’re ready to launch! 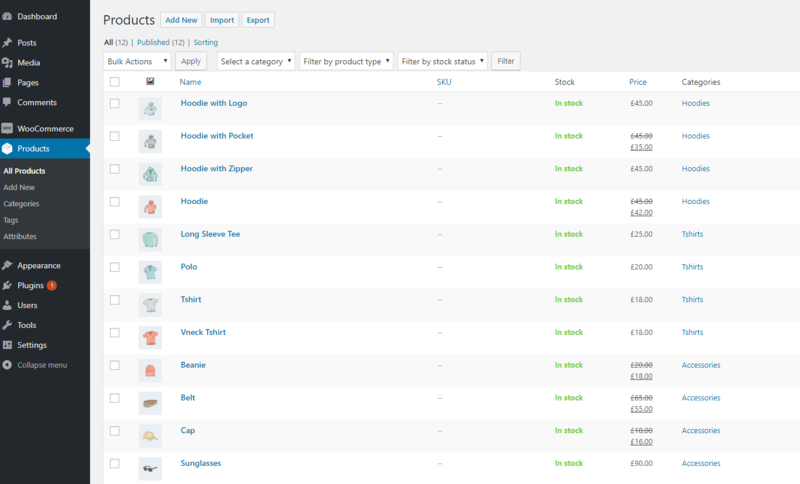 You can view and edit your sample products under the Products tab in your WordPress Dashboard. Now that we’ve finished with the installation, we’re ready to customize! Check out our other posts if you want to know how to edit your WooCommerce store’s general or product settings using the WordPress Dashboard.